The two-bedroom, 2-bath homes feature unparalleled lake views with floor-to-ceiling windows, private decks and custom upgrades. 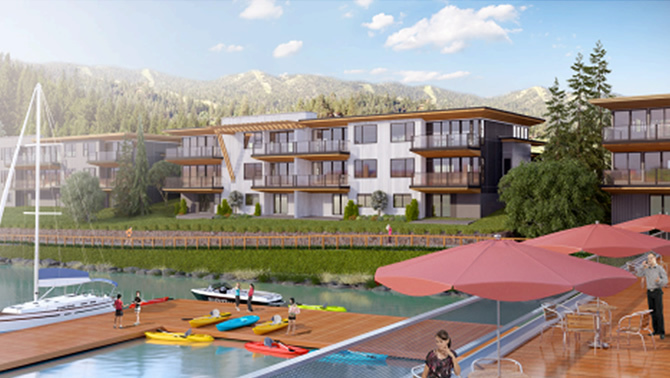 NELSON, BC September 29, 2015 –Nelson Landing Development Corp. has announced that the first phase of eight townhomes are now being offered for sale. The Disclosure Statement has been filed and Nelson Landing is taking deposits for these sought after homes. 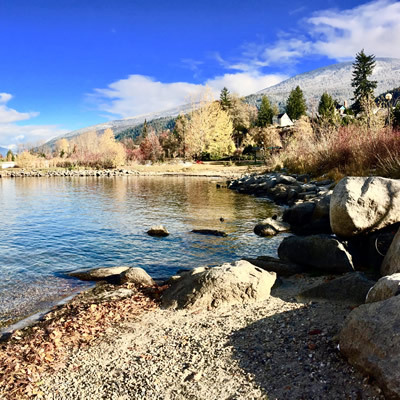 This first phase of townhomes on Kootenay Lake will be a limited release and are ideal for those seeking waterfront living in the City of Nelson. Each two-bedroom, two-bath townhome features a large north facing private deck and open concept living space. 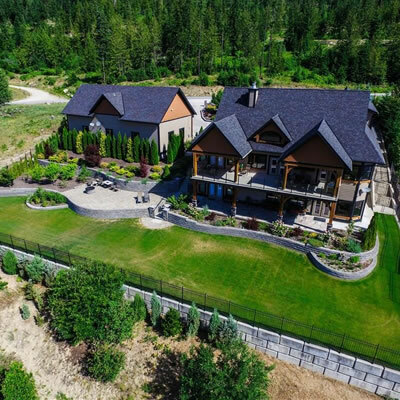 Views of Kootenay Lake are unparalleled and unobstructed with floor to ceiling windows and dual sliding glass doors that allow living rooms to open to decks for indoor/outdoor entertaining. Stainless steel appliances, custom upgrades and two interior design scheme options allow for personalization. A private and secure garage is included with additional parking available. Prices will start from $509,900 and homes range from 1,303 to 2,379 square feet. The commencement of sales at Nelson Landing has been part of a two-year process, largely due to the desire of Nelson Landing to include the community in its rezoning efforts. “We believe that people should shape their communities, not developers,” says Allard Ockeloen, CEO of Storm Mountain Development Corp., the BC based company that owns Nelson Landing. Over the years, Nelson Landing held several public information forums where the development team had the opportunity to listen to neighbours voicing their concerns and take input from members of the community back into the planning process for the development overall. “We are committed to the first principles of the plan for Nelson Landing which includes the creation of a public beach at Red Sands, a park along with public parking and access,” says Ockeloen. “It includes creating a city owned waterfront walkway that showcases the best of Nelson's incredible natural beauty. And it includes creating spaces that offer an enhanced social and cultural focus with an improved public pier and increased housing options. The intent is for less pavement for cars, more space for safe pedestrian travel, regenerating what was industrial land with plantings/greenery and a new community”. Nelson Landing is a master planned, phased, mixed-use residential and recreational community located on the shores of Kootenay Lake, within the city limits of Nelson BC. With over 6,500 feet of low bank lakefront, the Nelson Landing community will consist of residences and multi-use (commercial) buildings. Interested parties can visit http://www.nelsonlanding.com to register for more information. Storm Mountain Development Corporation (SMDC) is a recreational property developer that is developing Nelson Landing. 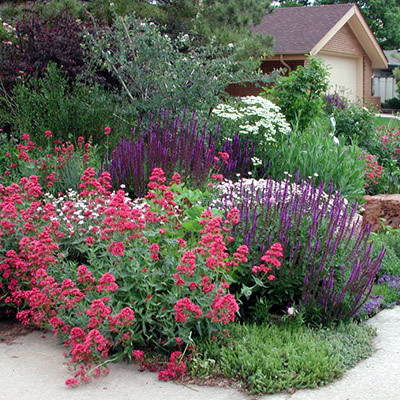 With more than 80 years combined experience in real estate development and finance, the principals of Storm Mountain bring proven recreational real estate development expertise to its communities.